After a long wait, the last installment of the Clifton Chronicles by Jeffrey Archer came out in India. 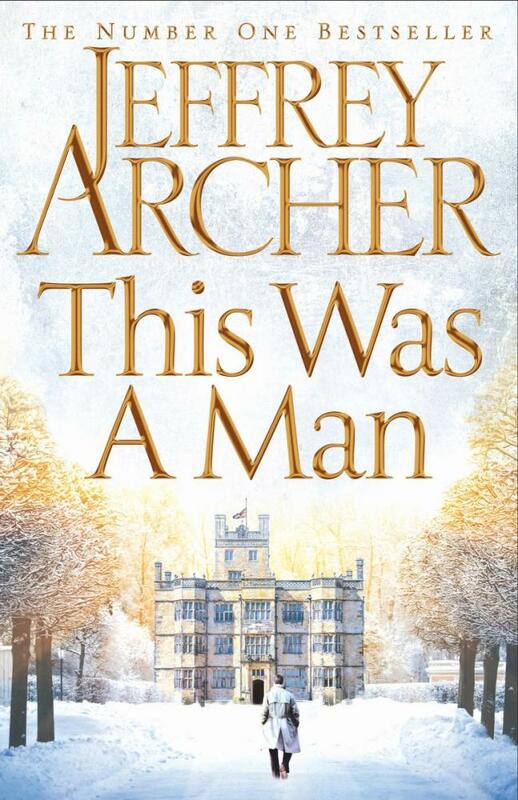 This Was a Man by Jeffrey Archer launched in India on November 22nd, 2016. There was a meet-the-author and book launch event in Bangalore, which i was very eager to go to but the logistics did not work out and i missed it. But i was very excited about the book. So i did what i usually do: buy it on Google Play (here). And, of course, read. Having read the first 6 books in the series as they came, i had certain expectations of the last book in the series: This Was a Man. The first six books trace the lives of a few characters, revolving primarily around Giles Barrington, his friend Harry Clifton, Emma Barrington (later Clifton), and their growing families, with other characters weaving in and out of the narratives. Slowly other characters also gain a recurring strong presence. While the ones already mentioned are predominantly the good guys, we also have the lead bad gal Virginia Fenwick and her coterie who make for the scheming villains of the series. Every book, expectantly, leaves you on a cliff hanger, waiting for the next installment in the series with bated breadth. This Was a Man is the final book in this series and comes to face the tough ask of appropriately concluding the events of the previous 6 books on its shoulders. How does this book fare? The familiar characters were of course there. The nature of their lives already established: High achievers with 30hr long days, surrounded by good people, lives peppered here and there with the unsavory characters, and eventually how good overcomes evil. Always. The least i expected from this book was this familiar story line to be followed. Even if heavily predictable, the previous books managed to make it a good compelling read and i’d usually finish the book in one go. This book focuses more on a tamer (read lamer) plot line : tying up the loose ends.In fact the plot line can be summarized in one sentence: the good guys do even better for themselves and the bad guys randomly die. So what happens in This Was a Man? I can make a list! Close the book. Read something else. While i knew a conclusion was the agenda of the book, i was also sure Archer was more capable than this stale piece of bread. This Was a Man could have been so much more.I doont know if I am asking for too much considering google marks it a 4.3 on 5! If you are insistant on buying the book and are in india, it is available here on amazon.in. Spoiler: Harry and Emma die. Everyone else do well for themselves. Now go buy another book. Dont waste money on this one. Its the time for Whaaaat? 2014 has sped away like a roller coaster in full speed, with all its ups and downs and it feels like it is time to take stock. But am i the stock taking types?No. That would be husbands profession - (Logistics and Supply chain). So we shall not interfere. We shall stick to the resolutions for the year. Cause according to about 80% of the global average population, it is must do activity. In all honesty, they are just for the first month and in some cases last only 1 week.Nevertheless we shall make them this year, just like every other year past. In retrospection, I really to buckle up. So this year, lets make them SMART. And schedule some reviews. Tedious? Yes. Works? Apparently Yes yes. Now for the smart bit.The Specific,Measurable,acheivable,realistic,timebound aspects - I have decided the specific bit is all i am going until. The measuring is gonna happen with a planner and review shall happen in 3 months. Hehe . Lets see. So here goes. As much as I have all this shaped up, I am still craving for sleep and sloth, my eternal friend. I plan to shake them off and start of new activities surrounding the blog this coming year. Yup, new stuff coming up in 2015!! 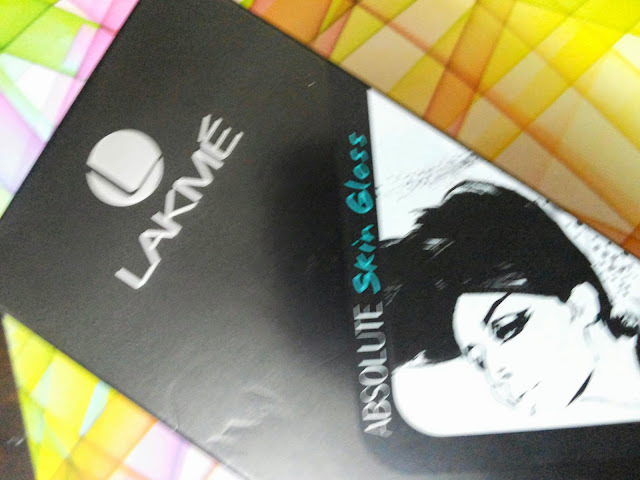 A review post after quite a while ..
After the move to Bangalore, I am in search of products for dry skin. In my beloved Chennai, my skin was shining and clear. But the Bangalore air is messing my skin's pysche. It has been acting up, drying to the point of patches and flaking despite a regular CTM routine. I guess the hydrating strength of the products I was using wasn't enough . So my quest for products to suit my now crazy skin has officially been flagged off. Usage: Dab entire face with 3-4 drops of serum and gently pat till absorbed. Best used with rest of the range. Well I opened the pack today. It is a very nice looking black packaging. And bottle has a pump fitted to dispense the serum. I had to work it a few times to get enough product. But the pump was a pretty fancy one I say. You need to twist the bottle cap to make the pump appear, then lock it place and then work the pump. This packaging is super travel safe, wont mess your handbag if you carry it on you. 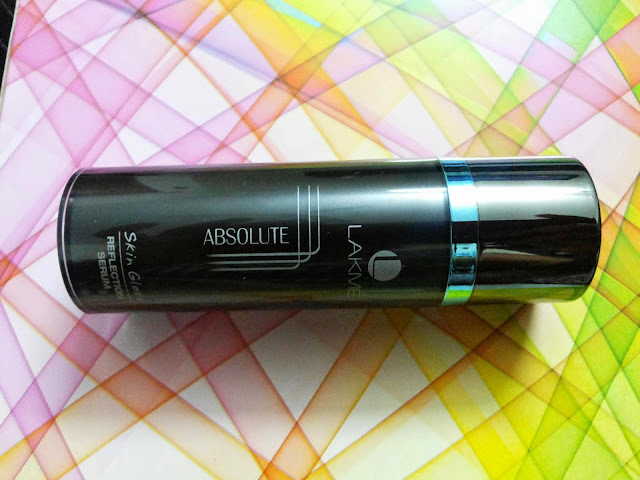 It is not as difficult as it sounds but it is packed much better than most face products I have tried. I really like the retro black and white sketch of a woman on the box. It looks like retro and b/w picture is all the fad these days. Now to the serum itself and my experience on the first use. I applied as instructed on the pack. But I have not bought the rest of the range. And decided to try just the serum. I somehow equate serum to more concentration and therefore assume the "serum" versions of any product are more potent. That's just me. So lets take a deep breath at my profound logic and turn to my excessively dry skin for answers. And my skin is acting angry. It does not like the serum much. 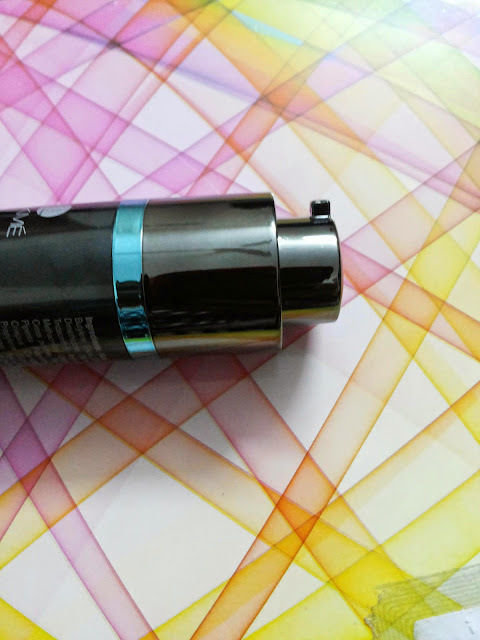 The serum makes my skin feel all the more dry and stretched. I will think very hard before using this product alone. I guess I will use the range in entirety but the effect this product has on my skin makes me question that course of action. Lets see. I have decided on a one week trial period. And that is for the elegant packaging. I may revise the rating after a period of use or buying the whole range.The latter of which is very unlikely. Today at about 1330hrs, I opened my lunch box. It was nothing odd, nothing new but it certainly was different. Until 1995-2001, every school day, lunch was home made curd rice+vegetable of the day. 2 tiny boxes, waiting to opened at 1220hrs. Most people would find it a bit boring/repetitive to carry the same food everyday but I somehow found it comforting. The routine and the predictability of the contents of my box actually made me look forward to the lunch hour at school. I was never a good student and was usually upto no good. Among all the live-wires I never knew when I might trip, this box of lunch was the only constant. If I got to it, I got through half my day safe. On the days when i was relatively safe, it gave the luxury of extra time to run around, play and be upto to more useless stuff. But on days I was keen on playing volleyball, or had work to do for house I belonged to, or had March-past practice, it turned out a real blessing. 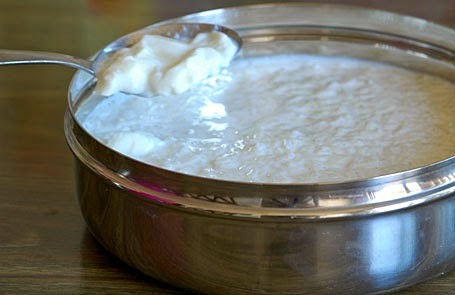 The curd rice was a pretty simple recipe.My Mom was working and her particularly hard & driving schedule made the humble curd rice the easiest to pack. Although she did try to pack some variety in once a week it was rare. After she took retirement, she decided to pack a different meal everyday. But, my allegiance to the curd rice would not waver. I voluntarily asked her to pack the same meal for me everyday, much to her surprise. Then my sister did the same too. The simple curd rice had turned out the house favorite after all. Today at about 1330hrs, I opened my lunch box. It was nothing odd, nothing new but it certainly was different.It was curd rice. My Mom is visiting me in Bangalore and today my Mom made lunch. After 14 years, my Mom had packed me curd rice. And I am transported back to the lovely days when the box meant just a morsel down the throat. I am grateful for those days. Because of those days, today it means a whole lot more. I don't know if it is the comfort of habit, or that it is my mothers work, or the childlike memories associated with it that makes today's lunch so special, but it certainly is something I am immensely thankful for. And it is moments like these that make the simple truly great. Bugged by questions on what an optimal blog budget would be? How much would it cost to run a blog? Would it be too expensive? Will it be affordable ? The business has just started and you really can’t allocate funds for a blog? Here are 5 resources that will help you do it, all for free!!! 1.The platform: Wordpress & Blogger the most popular ones out there are very good places to start. While blogger is entirely free and comes with a whole host of google goodies you can use, the free version of Wordpress is no less either. Wordpress also allows you to upgrade to a paid version where you get more storage and a custom domain name, giving you flexibility for a future date. They both offer great themes and customization. But when it comes to quality widgets, Wordpress is the clear winner. 2.The blog link:While it is quite important to have a your own domain for a blog, especially in the business sense, you do get free site links with Blogger and Wordpress. You could start with these and then buy domains later. I, for starters, began with ssuchie.blogspot.in. Now I have purchased a domain: ssuchie.co.in from Godaddy. As long the name is the same ( ssuchie, on both the links), there shouldn’t be a big problem transitioning.Also, signup for Bitly, to get shortened versions of you post links, to be able to share your posts on twitter and other share sites. 4.The graphics and photo manipulation: While the best image manipulation program, Photoshop, needs to be purchased, there are free options too. GIMP is a full fledged program with almost as much potential as Photoshop, is open source and free for download. Picmonkey and Piktochart are online tools that can present a lot of options. Picmonkey has a lot of interesting overlays and can be used to manipulate your images or create interesting graphics yourself. Piktogrqaphics can be used to create images of statistics and is a tool businesses will love for their blogs, or otherwise. 5.Blog promotion: The most popular ones here are the free ones. Thats right : Facebook,Twitter,Pinterest, Instagram, Bloglovin’. Also it is good practice to have email lists to promote your blog.There are places to buy email lists for blog promotion. This is very useful if you ave an aggressive blog promotion strategy and yes a budget. But creating your own list from facebook, blog c omments, pinterest etc gives you a list of people who are really interested your content and possibly relate to it. Creating your own list would therefore be more meaningful than promoting to random individuals, especially in the context of personal blogs . You could also join blog communities and blog hops to promote your blog and collaborate with other bloggers to a give real boost to your blog viewership, especially with your blog’s target audience. So there you go ! Pick and choose to optimize your costs or simply get started for Free!! !